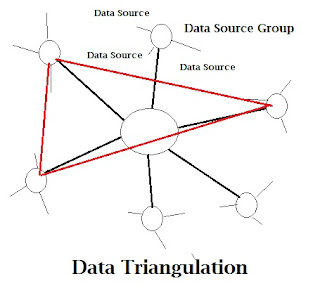 While conducting research and other ideas it is helpful to use triangulation to help determine the validity of a finding. 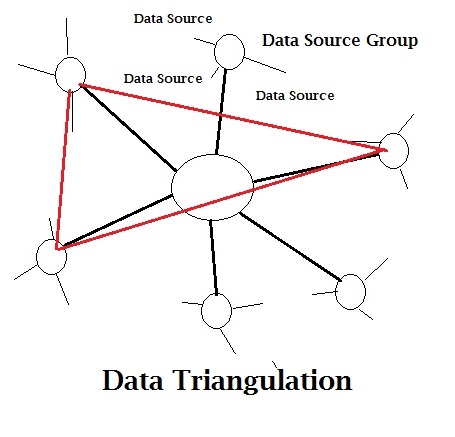 In general, triangulation includes the use of two or more data points to references and cross-check the conclusion. This cross-validation helps in ensuring accuracy and lends additional support of the findings for implementation. If you are working in for a business and want to conduct a study on how a company can improve employee perception you will not want to use a single data sources. The same can be said of using data to determine the effectiveness of a particular skill in the market. If you were an executive making a decision on how to invest money, or what strategic choice, or where to move your business you are likely to want research. That research can be supported by a single data source or multiple data sources that are triangulated. If it was me....I would want multiple data sources before I make a big mistake!